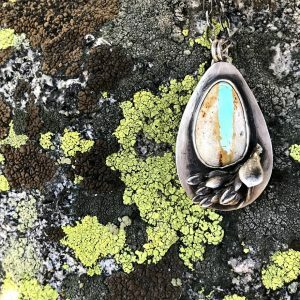 Embark on an adventure into metalsmithing! Create a pendant or earrings in silver throughout this three-session class. Learn how to use a jeweler’s saw to cut out shapes. Explore textures with hammers and stamps. Use a patina to darken metal and emphasize design. Plus, discover how to wire wrap gemstones to complement your creations. Classes are held on Monday evenings. $120 (Art League members $100). Register via artleagueliregistration.org/class/jewelry/192-3763b/basic-beginner-metalsmithing-starts-april or call the Art League at (631)462-5400. Sessions are held April 22 and 29 and May 6, 6:30-8:30pm.